Piercing the boundaries between professional racing and gentlemen drivers with a forgiving but tenacious, ultra-light track car, with features that create new heights in driver elation. 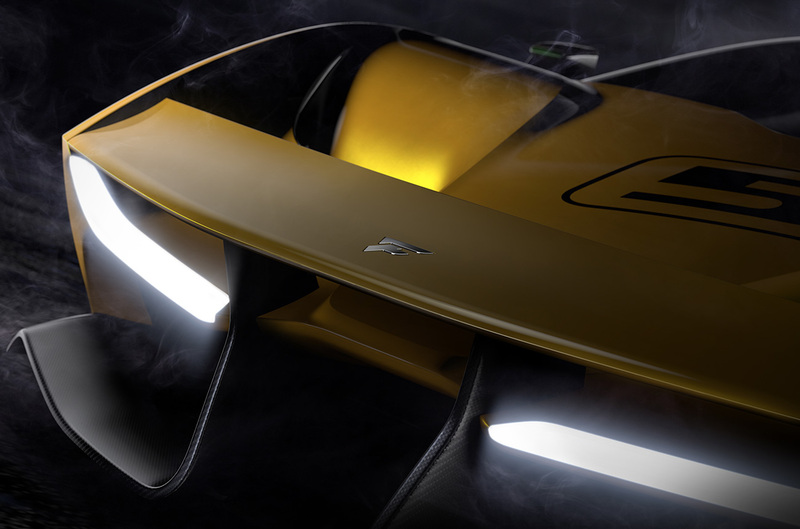 That was the mission behind the vision of Emerson Fittipaldi of the Fittipaldi EF7 Vision Gran Turismo by Pininfarina - to be unveiled at the Geneva Motor Show on March 7 – and which brings with it the pedigree of a racing legend and two of the world’s elite auto houses. “Working with Emerson to create the EF7 has been a deep experience. Our common passion for cars and the mutual respect produced a perfect chemistry fueled by enthusiasm. The result is an exciting car that embodies Pininfarina’s DNA in terms of style and innovation, Emerson’s long-lasting experience and HWA’s engineering skills. Our collective team was able to turn a dream into a driving machine,” says Pininfarina Chairman PaoloPininfarina. As for what Emerson calls the EF7 VGT’s “heartbeat”, he enlisted storied motor-racing powerhouse, HWA AG in Germany, who have built high performance racing cars for over 50 years and consistently won championships, including the elite Deutsche Tourenwagen Masters (DTM). “Emerson Fittipaldi's vision, Pininfarina's design aesthetic and HWA's engineering capability, the Fittipaldi EF7 Vision Gran Turismo by Pininfarina boasts a collective of some of automotive’s best partners and is a project we’re honored to be a part of,” said Kazunori Yamauchi, creator of Gran Turismo. EF7 Vision Gran Turismo will be on the tracks soon, and in the hands of only a selected few. COPYRIGHT © 2017 FITTIPALDI MOTORS LLC. ALL RIGHTS RESERVED.